Regulation of higher education in Australia is not new but, taking the lead from the rapid changes that have been experienced in the United Kingdom over the last ten years, requirements in Australia have grown to be a key factor that shapes the higher education landscape. Without proper regulation, it is argued there is little to protect students from institutions delivering low quality education programs. Poor regulation and inadequate quality assurance can negatively impact on national and international reputation, even if internal quality is high for an institution. Additionally, appropriate regulation is proposed as a mechanism to encourage businesses to invest in the sector and support the financial standing of institutions when dealing with external commercial entities. Regulation is well established in Australia and will, increasingly, be a key factor in individual institutional decision-making. In Australia, award courses can only be offered through accredited higher education institutions and, therefore, are subject to regulatory checks and balances. Given their unique nature, non-award courses such as MOOCs (Web-mediated, free of charge) are not required to meet any regulatory standards, despite being offered by a number of the key higher education providers in Australia today (Norton, Sonnemann et al., 2013). The higher education regulatory environment in Australia at present is dynamic and complex. Its structure, however, is underpinned by the simple idea that the setting of standards needs to be fundamentally separated from the ‘policing’ of those standards. In the current system (2014), the Tertiary Education Quality and Standards Agency (TEQSA) is Australia’s regulatory and quality assurance agency for the Higher Education sector. This ensures the separation of standards setting from the monitoring and enforcement functions carried out by TEQSA in its regulatory role. TEQSA was set up in July 2011 under a section of the Tertiary Education Quality and Standards Agency Act to ensure the quality of Australian Higher Education providers through quality assurance and nationally consistent regulation. Importantly, TEQSA does not set standards itself, but evaluates the performance of higher education providers against the Higher Education Standards Framework (HESF). This framework is overseen by the Higher Education Standards Panel (HESP), an expert advisory body that both provides advice to TEQSA on matters relating to Higher Education Standards, and also advice to Commonwealth ministers responsible for tertiary education and research. The quality assurance role of TEQSA is currently unclear and the sector may be subject to a different regulatory environment in the near future. The Australian Higher Education sector consists of 41 universities (37 public universities, two private providers and two overseas universities). All providers are required to register under the TEQSA Act (2011) and demonstrate that they meet the Threshold Standards for education provision described in the HESF. In March 2013, the Higher Education Standards Panel released draft standards for Course Design and Learning Outcomes and later released standards in Research, Research Training and Learning Outcomes (Research Training), seeking sector feedback. This feedback raised questions about the concept of Reference Points defined as: “Significant codes or frameworks that the Higher Education Standards Panel judges to be of relevance to providers in considering how particular standards may be met or demonstrated” (HESP, 2013). For example, the AQF is a key reference point for these standards and in 2014 all Australian Higher Education providers will need to demonstrate that they meet AQF requirements. 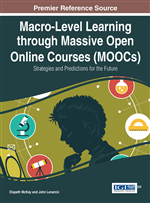 In 2013, there was considerable public debate about a range of implications of massive open online courses (MOOCs) for the Australian Higher Education sector, including regulation. TEQSA’s role in the provision of higher education through a MOOC approach was raised; the regulator’s response was to strongly encourage initiatives within the sector to improve the quality of the student’s experience of higher education, whether it was demonstrated through more diverse content or the establishment of more effective and accessible modes of delivery (TEQSA, 2012).